Best Small Business Practices for IT: Physical Infrastructure - Techs. Halfway through the workday, you lose Internet access. You try to reset the router, but are prompted for a password. You don’t know the password. Your IT guy does. So you try to contact your IT guy. He doesn’t respond. You try again, with no luck. Looks like he’s gone AWOL. Now, some of your employees are twiddling their thumbs. You can practically feel the money oozing from your pockets. If you run a small business, and you don’t have an in-house IT person, this scenario is a real possibility. And it’s a reason you should know about your physical infrastructure. We’ve already talked about the digital real estate for your company (also known as your company domain). Now it’s time to touch on the physical component. The modem is a device that provides the Internet. It is installed by an Internet Service Provider (ISP). 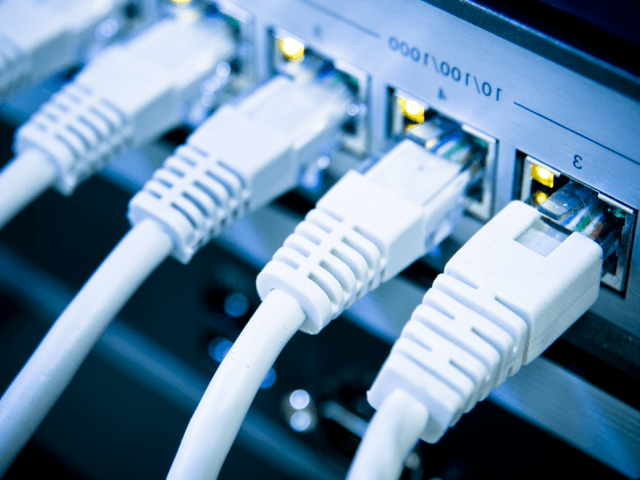 A router provides an Internet Protocol (IP) address to all servers, printers and workstations. Pro-tip — Use a separate device from your modem. Some ISPs package a modem/router combo, which can strip you of administrative access to the router and/or restrict you. As a result, you can’t manipulate how all the devices in your organization operate. A server hosts your files. Depending on your company size and the type of operating systems you use, you might want to use a Windows Active Directory. This is primarily where you do your work. It could be a desktop computer, a laptop, or both. These components are separate from your workstation. In some instances, the phone might double as a workstation, as in the case of many construction companies, where remote work is communicated almost exclusively via phone. Are You Making This Mistake with Your Physical Infrastructure? As a small business owner, you want administrative access and login capability over all aspects of the physical infrastructure. You have to perform routine tasks. You’ve already read one nightmare scenario. But plenty of others lurk around the office. For example, the router gets changed. Later that day, you go to print and find out you need to reroute the printer. Or maybe you have to add an employee to a printer, so she can scan a document, but the printer asks for a password. Whatever the case, fairly routine tasks could really gum up the works if you didn’t have the proper credentials. You might need access to the workstation of a laid-off employee. If you’ve laid off an employee, but can’t access the documents on his computer because they don’t return it or perhaps brought their own, you might lose some valuable work for your company. The relationship with your IT person ends. Sometimes, people just don’t mesh. Whatever the reason, can you bring somebody in without your IT person? If you can’t, you risk being locked out. This would require a complete overhaul: hitting the reset switch and rebuilding. That’s a lot of time and energy. Somebody might join your team who is super tech savvy. Your employees are probably handling multiple roles. And if somebody joins your team who is super tech savvy, you might not need your out-of-house IT person anymore. But if they have sole access over your infrastructure passwords, this could complicate the process. Ask yourself this: Can I run my company if my IT guy isn’t there? Do I have access to the router, server, and workstations of my employees? If the answer to both is yes, your company can be flexible and autonomous. You also have access to document hardware updates and any issues you experience with your physical infrastructure. At Techs, we set up your physical infrastructure so you can answer yes. Contact us if you have any questions.